The 1977 Pontiac Firebird Trans Am was objectively a pretty bad car. 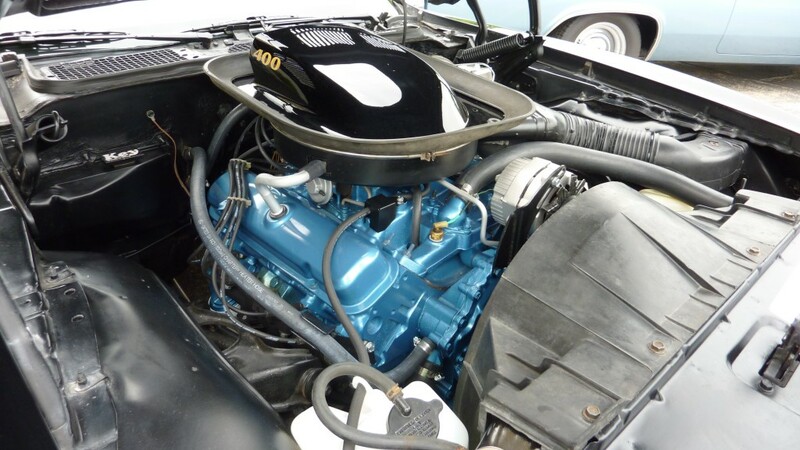 It had all of the hallmarks of malaise-era General Motors: huge engine that produced almost no power, highly questionable build quality and handling characteristics better suited to a tug boat. Why then, despite all of these marks against it, has the facelifted second generation Trans Am wormed its way into the cultural conscience as one of the coolest things on four wheels? Two words and one mustache: Burt Reynolds. Now, as we are assailed by yet another Camaro-based Trans Am tribute, we felt it was high time we took a look at why we so deeply love such a garbage car. The Firebird got its start as the Camaro’s fancier cousin in 1967. 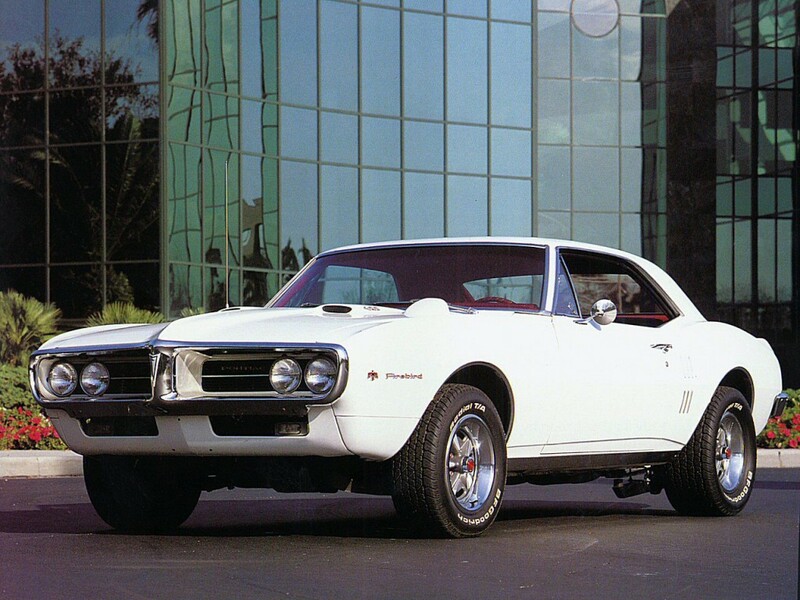 The Firebird took many styling cues from its bigger brother, the GTO including that car’s integrated front bumper and rear slit taillights. The “Coke bottle design” and fake side vents gave the car a slightly more grown up aesthetic when compared to the more pedestrian Camaro. The Firebird seemed like the kind of car an astronaut might drive when their Corvette broke down. It was cool, and to make it cooler it got its own family of engines not shared with the Camaro, most notably the Pontiac 350 and 400. In 1970 the Firebird underwent a redesign that took the first generation’s good looks, threw them into a blender with some weird looking fish and hit frappe. The 2nd gen Firebird’s styling was decidedly less successful than the contemporary Camaro but people bought them, probably in large part due to the availability of Pontiac’s more powerful Ram Air engines. The Ram Air III which produced a respectable 366 horsepower and the highly desirable round-port Ram Air IV which produced more power still. Sadly, the Ram Air cars represented the death rattle of the muscle car era when compression ratios began to drop steadily and power output landed with a resounding plop in the toilet. 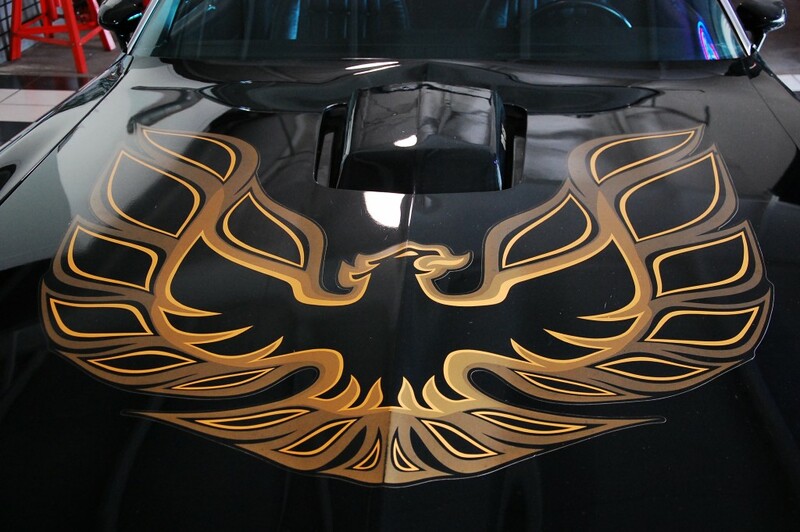 By the time the Firebird was refreshed into its most iconic shape in 1977, a 400 cubic inch V8 was good for less than 200 horsepower and a glorious flaming chicken emblazoned upon its long hood. That phoenix on its hood is one of those things that should be awful, but isn’t. It may be the best part of the car, in fact. The ‘77 Trans Am is a conglomeration of things that should be awful but aren’t. For example, they offered it at one point with a silver vinyl interior. Typing out “silver vinyl interior” is enough to induce dry heaving even in steely-eyed journalists, but on the Trans Am, it kinda worked. The “snowflake” style wheels would have been out of place on almost any other American car in the 1970s, but again on the Trans Am they become iconic. The Trans Am is so absurd and seemingly immune to whatever uncool gimmick the bosses at Pontiac threw at it that it is, in fact, the only car that our mustachioed anti-hero could have driven in his 28-hour blitz across state lines, Snowman and illicit beer not far behind. Anything else would have seemed too normal, too much like something your dad might drive if he was an actuary. When you watch Smokey and the Bandit, the Trans Am’s lack of power is utterly Hollywood-ed out. The car sounds like it’s perpetually on the banks at Daytona gunning for the checkered flag, it’s incredible. The handling looks absurd, but feasible and the car never really seems out of sorts. Even the brakes seem great and no matter how many times old Burt stands on that big pedal and locks all the wheels, they continue to work perfectly. 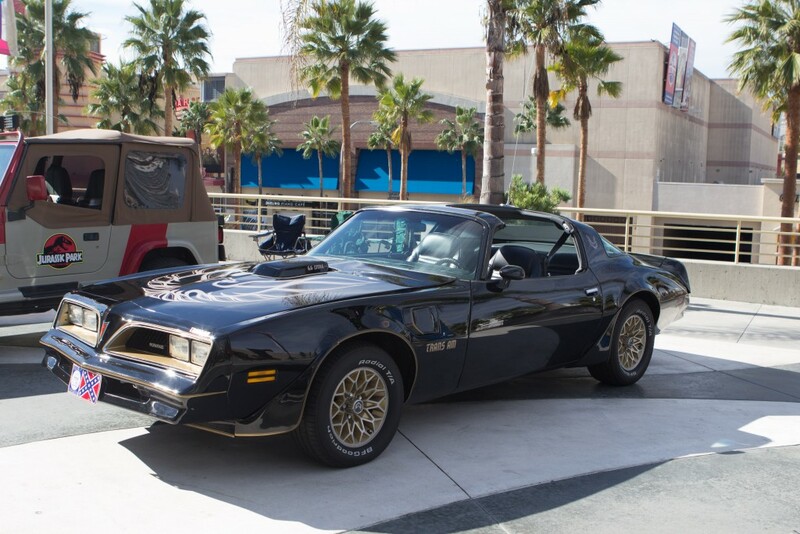 The lie that Smokey and the Bandit tells us about the Trans Am is so far-fetched that the performance of the Bluesmobile seems more realistic. But, it’s a sweet lie and if its job is to make us feel good then it worked. The Firebird Trans Am languished in price for a long time behind other cars of its ilk, being mostly ignored by collectors even in the midst of the huge muscle car boom of the early 2000s. That trend has been changing, apparently owing to younger people’s warped love of irony and overabundance of disposable income, and now we’re seeing prices for Trans Am’s rise significantly. There is so much interest now that Trans Am Depot, purveyor of all things Trans Am, is now offering 77 Camaro-based Trans Am SE Bandit Edition cars for the princely sum of $115,000. 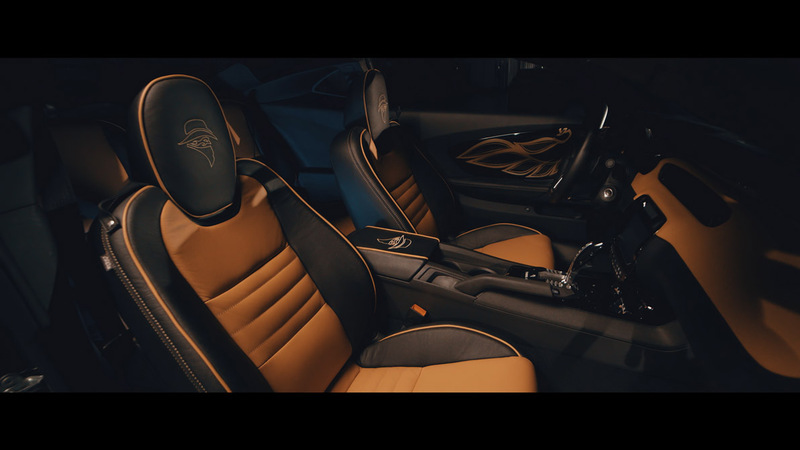 Though to be fair, for that price you’re getting some E46 BMW headlights, all the period looking decals you can stand, a custom body kit, BURT REYNOLDS’ GODDAMNED SIGNATURE on every single one of them and an 840hp V8 that should help, at least in part, to deliver on the promise made by the car in the movie. 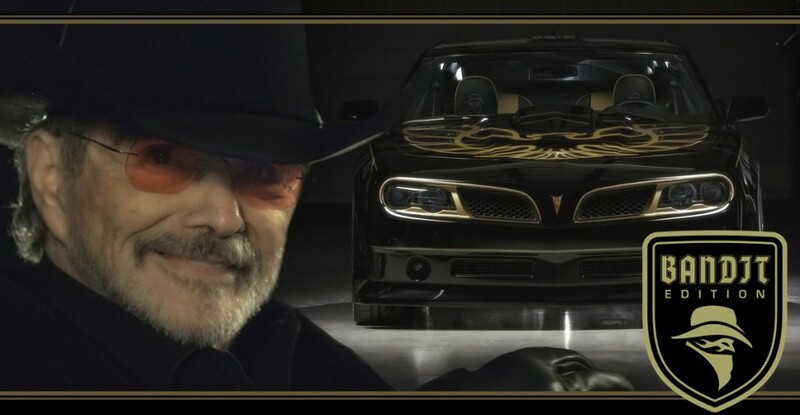 The Bandit and his Trans Am went a long way towards defining what a movie car could be. It could be as much a character as the actors on screen. It could transcend its modest statistics and become the benchmark for real speed and it could give an entire generation of men a weird crush on Sally Field that would last until they saw her much later as Mary Todd in Lincoln. The Trans Am didn’t stop after 77, though that would have been better probably. It got all kinds of zany special editions and at one point, an ill-advised turbocharged drivetrain. It continued its work in Hollywood as the talking car KITT in Knight Rider. Finally in the 90s and 2000s it became the favored weapon for those looking for unbelievably cheap speed when it got a drivetrain that it truly deserved. For us though, it will always be a car for cowboy hats and handlebar mustaches, and that’s why we love it. All photos are courtesy of Wiki Commons.